Many have criticized the game’s MMO-like quest structure, with most side quests being relegated to hunting and item fetching. While I understand this complaint, it’s never been a problem to me. I explored every inch of Dragon Age: Inquisition twice despite similar flaws, whereas quests in the near-universally lauded Skyrim never had the same draw. The reasoning for this has been clear to me for some time: I’m simply more invested in Dragon Age‘s world. While the lore of the Elder Scrolls series is far more robust, Dragon Age‘s focus on the humanity of its characters just speaks to me more, as I’m more interested in characters than plot. As the setting feeds into the motivations for those characters, I voraciously devour any extra world building available to me. So why the hell does Final Fantasy feel more hollow than either? I’m certainly more invested in Final Fantasy‘s world. I’m enough of an anime dork to enjoy the tropey pretty-boy trappings. I’m enough of an FF nut to invest myself in the stories of summons, beasts, and crystals. 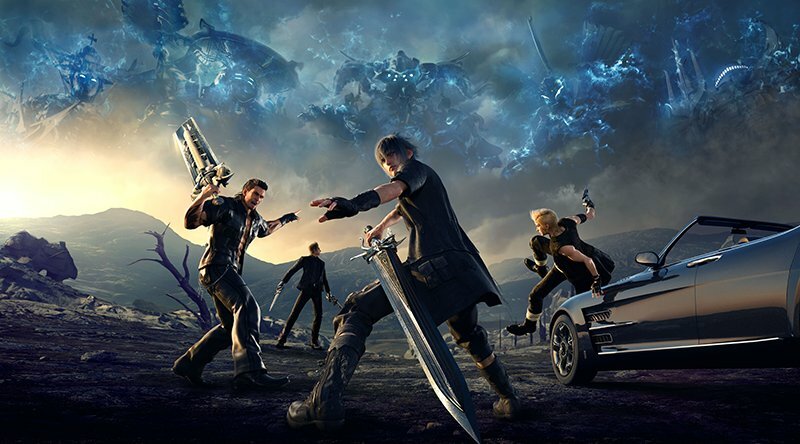 Even the world of Final Fantasy XV, with its more modern setting and intriguing Astral storyline, got its hooks in me more than most universes in the franchise. 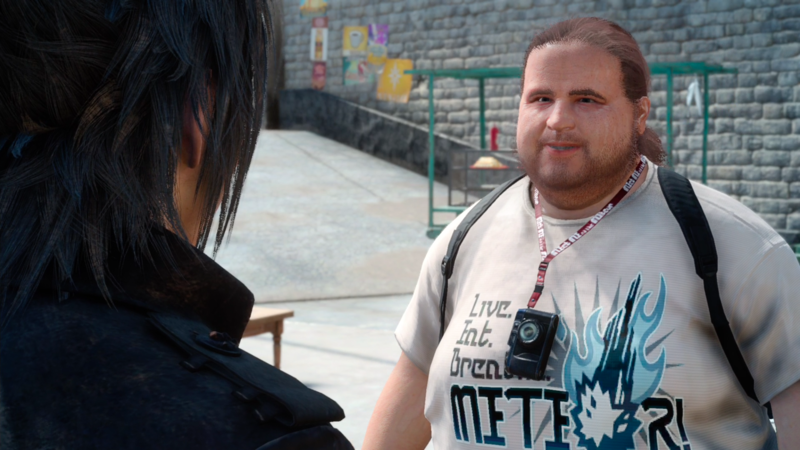 The problem is, for all of the intriguing backstory, for all the mysterious ruins and unique equipment you can find, Final Fantasy XV seems utterly disinterested in telling you more about the world its built. You standard Open World RPG™ is packed to the gills with world building. This is usually in pretty dry form, with a library of books containing the history of the world and in-universe literature. Occasionally, you’ll find a town full of characters willing to expound upon their daily lives and give you a view of the common folk, and every once in a while a Witcher 3 will come along and throw dozens of deeply crafted personal quests across its entire world. These books don’t mean much to me in games like Skyrim. The books tend to either be riffs on traditional fantasy tropes, giving history legends about lost kingdoms and the demons that overran the cave you’re in, or tongue-in-cheek references about how the sword you’re about to find was lost by a drunkard who lost his pants and enjoyed screaming things that sound suspiciously like a quote from last year’s hottest gaming meme. This can be great for those invested in that universe! If you’re the kind of person who loves in-depth world building, or who cannot abide a world with plot holes, these usually give a huge amount of texture to the universe. By all accounts, this kind of literature would be the definition of my jam were it present in Final Fantasy XV. I mean, Basically Hurley here is an ok dude, but otherwise we’re short on personality. This is common even in the main story of the game. Plot points are glossed over, happen in the background, or are inscrutable without watching the Kingsglaive movie. This is a bit less egregious in the main game, as you can fill in the blanks with relative ease and the patchwork plot comes with the territory in a Final Fantasy game. But this open world, packed with mechanics, monsters, and items, still feels hollow without an accompanying sense of place. The history of the world is non-existent, in-game literature is rare (and never longer than a paragraph), and only a handful of NPCs are on hand to interact with. And of that group, fewer than half ever show you more of their life than the fact that their supply lines are near-constantly plagued by monster attacks. While much of this seems pretty damning, let’s not forget that this is still my favorite game of the year. Hell, it sits up near the top of my favorite Final Fantasy games. The reason I notice these things missing is because I think the world is truly fascinating, and I want more of it. For once I find myself hoping for the Final Fantasy XIII treatment, as I want more games in this world and I want to see these gameplay systems evolve before the next mainline game goes back to wildly experimenting with RPGs as a genre. While the game is a bit lacking in world building, there’s still enough there for me to really enjoy my time in this world and to have devoured the game in under a week. As a parent of two young children, that never happens. The dungeons are fun to explore, the combat is still entertaining, and the music will be in my work rotation for the rest of my career alongside the rest of the series. I don’t need to put a lot of qualifications on my love for this game. I just want this world to welcome me into it as eagerly as I want to dive into it.